The same principle applies that longer cycles span multiple cycles of shorter time spans. For example there is a cycle called the Kitchin cycle (named for a man of that name). 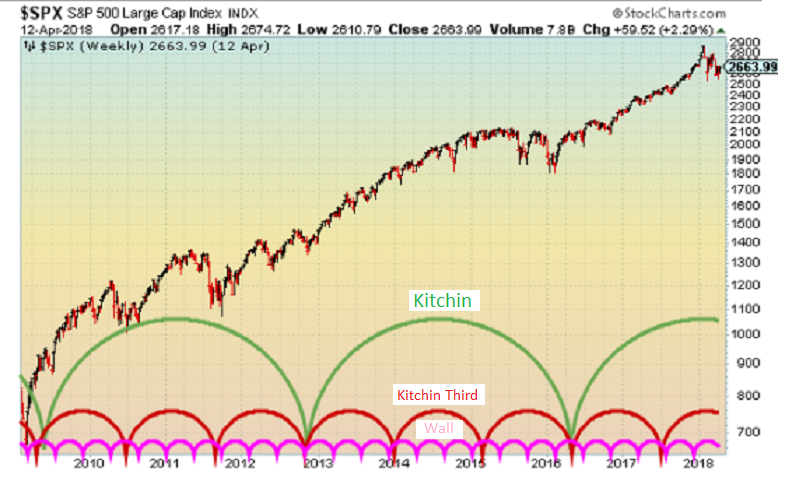 Ideally a Kitchin cycle is 42 months long but may vary some (so it is 3 1/2 years long and encompasses 3X 14 month cycles referred to as Third of a Kitchin cycle. A Third of a Kitchin is 14 months or 3X20 weeks. (20 week cycle is often called the Wall Cycle (this cycle was first identified by PQ Wall) . So you can see why I rely heavily on the 20 week cycle. 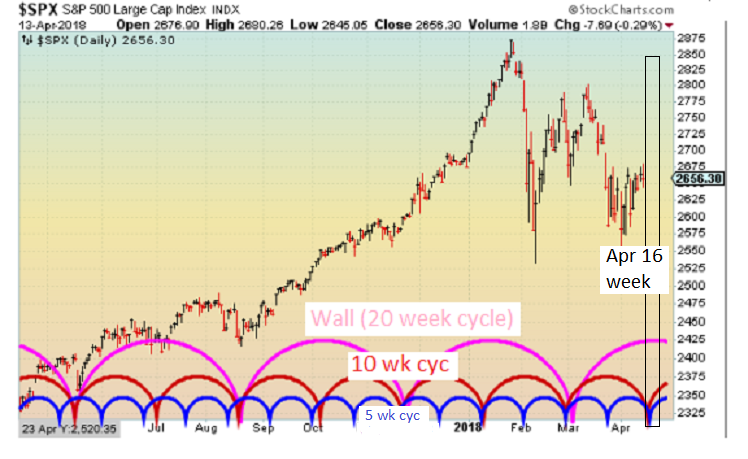 Thanks for the information, is there a good resource/ book to understand cycles? Check Amazon for books. JM Hurst has a couple of books that are at an understandable level. But, there are other authors/books available from Amazon. Another author is David Knox Barker. Google him for online articles to get a preview of his books on cycles.